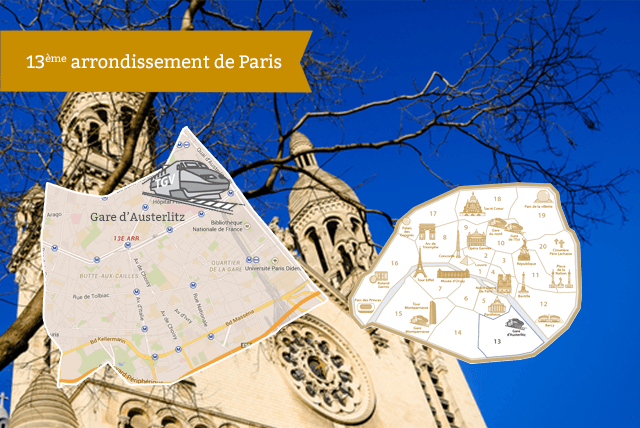 The 13th arrondissement of Paris is one of the twenty arrondissements of Paris. It is located on the left bank of the Seine. It is surrounded by the 14th district in the west and the 5th district to the north. This district is not touristy. The 13th district is an old working-class neighborhood. Today, he is best known for its Asian neighborhood, the Butte-aux-Cailles and for the establishment in the 1990s of the National Library of France on the Seine.